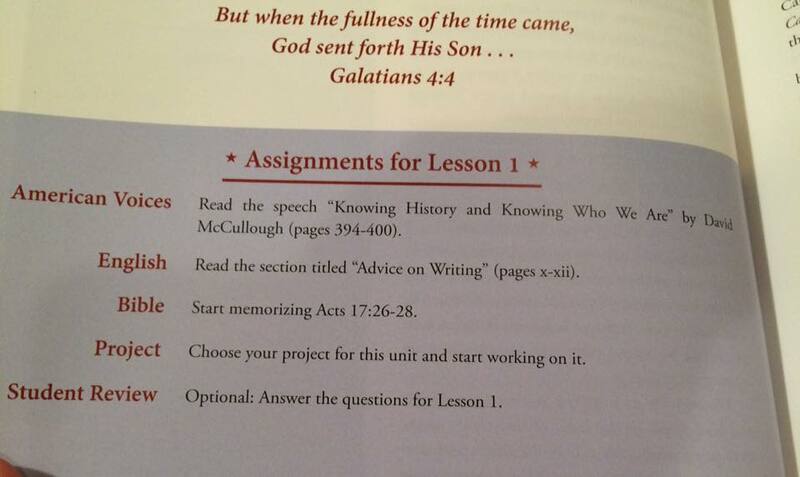 I could not wait to get my hands on this curriculum. 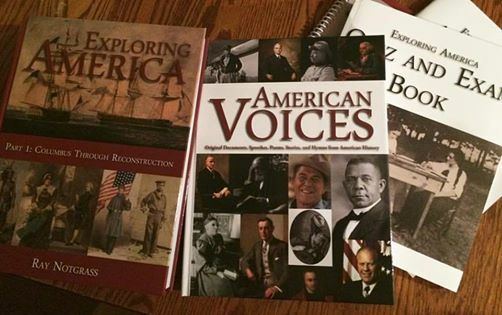 History is my favorite subject and I'm so excited to be teaching American History this fall. I love the concept of of having three subjects done with one curriculum. That is exactly what Notgrass Exploring America does. It is complete and very much grab and go. 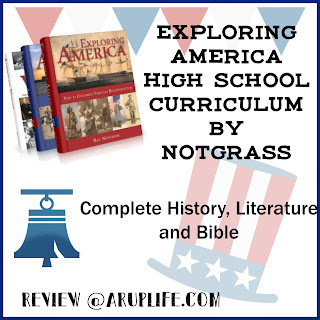 Notgrass Exploring America covers the time periods of Columbus through Present Day by incorporating literature, bible and history into one complete program. By the end of this course your child will have a credit for EACH subject. 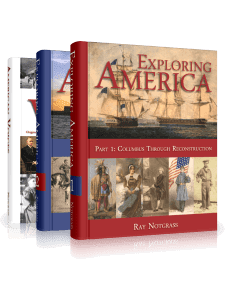 The 3 book set includes 3 hard cover textbooks - 2 Student Readers and American Voices which contains original documents, speeches, poems, stories and hymns. 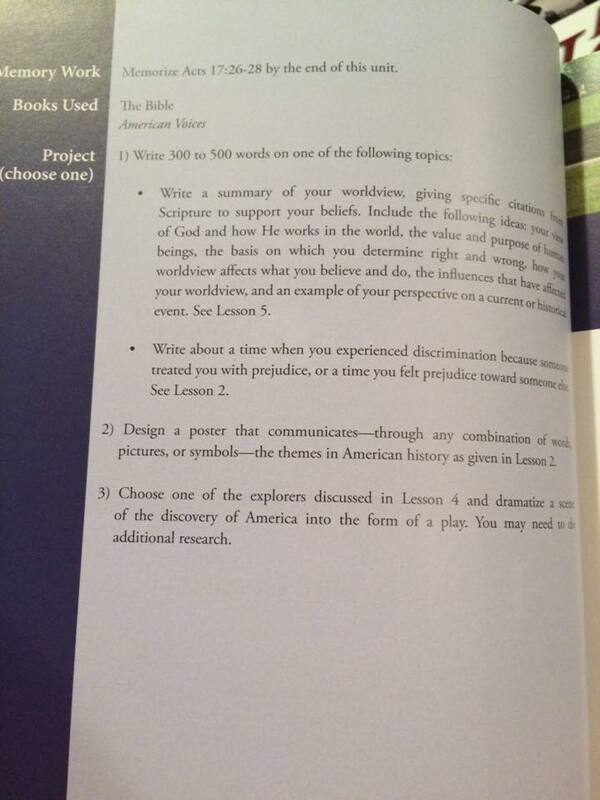 The three books combine to make up the curriculum. *While this is optional I'm just going to go ahead and state here that I think this is a great asset to have. You can use this with the set out schedule or add it as needed. 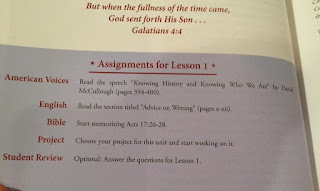 I think the text and quizzes are excellent for Highschoolers and plan to use them with each chapter. Currently we are on summer break and do just a little bit of school daily. We won't officially start history until the fall. My two high school students will both be doing Exploring America this fall together. One child will be in 9th and one in 11th. The course is said to take 2 1/2 - 3 hours a day which makes sense because the child will be doing three classes in one course. I'm in the planning mode now so this was a perfect time for me to look over the books and give a solid opinion on the curriculum. I am so excited to start this course. American History is so important for our children to learn. I personally love several of the literature choices and I am pretty sure my kids will too. I feel like Notgrass has thought of everything. We received a mini-booklet guide to go over how to use the course and the description. 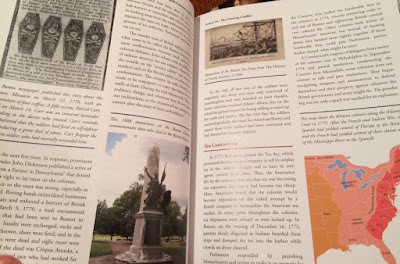 Included was information about the books chosen and any 'questionable' material they might have (think cursing, drinking). There were alternative books suggested if you do not want to let your student read these choices. For us I believe we will have our children read them because I believe in exposing them to classic books and discussing the harder subject matter. The student textbooks are beautiful. There are many bright colored pictures throughout the book. It makes for a very appealing text. I like the way the coursework is laid out as well. 30 weeks of learning Units with five lessons each week (150 total). This allows for flexibility with holidays or taking a longer time on a topic of interest. Each unit has a project which can be writing, drawing or crafting. 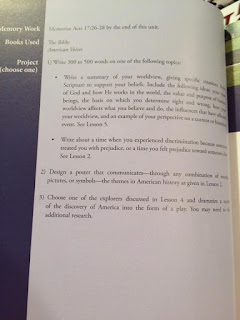 It is recommended that students pick writing assignments at least six times a year as their project. I like that because my boys don't love writing and 6 out of 30 is not bad. We plan on incorporating the Student Review book using the literature questions as a verbal assignment and assigning test and quizzes as they show up naturally in the course. There is also one large research paper for the course (LOVE) and a schedule with tips is included making it easy to implement for Mom and student. Like I said previously, Notgrass has thought of everything. This course is well thought out and very easy to accomplish over the school year. I love that I do not have to spend hours of printing or planning because it is ALL DONE for me. I have a feeling my boys are going to really enjoy this class. 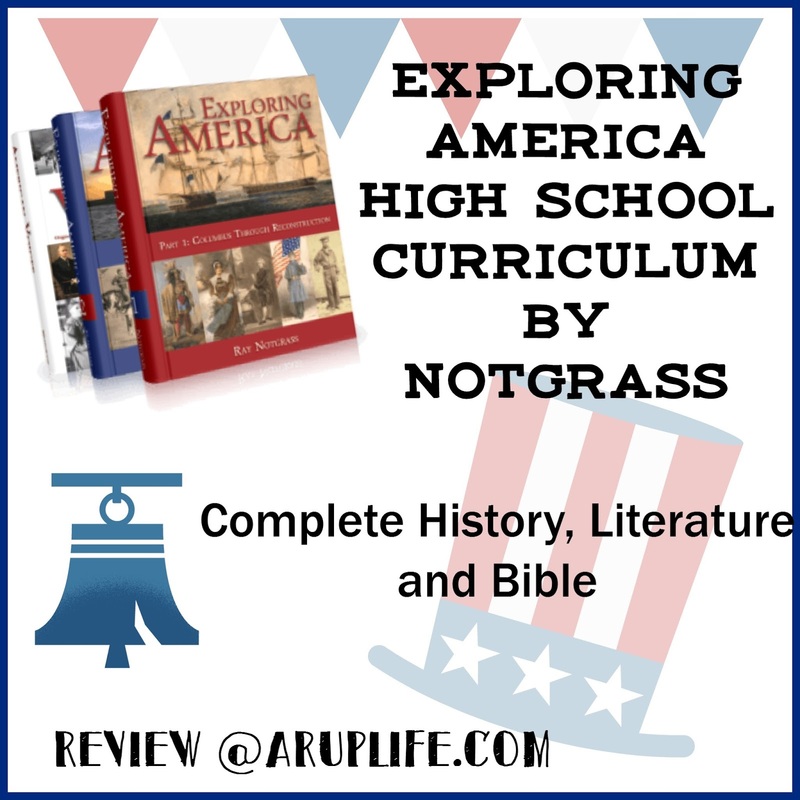 Visit Notgrass.com for additional information on Exploring America or one of their other History courses. They have courses for middle school and highschool for American and World History as well as Economic and Government courses. Thank you for sharing your review with great photos! This academic writing service delivers essays on time, properly researched, accurately written, have a peek over here to find more info!